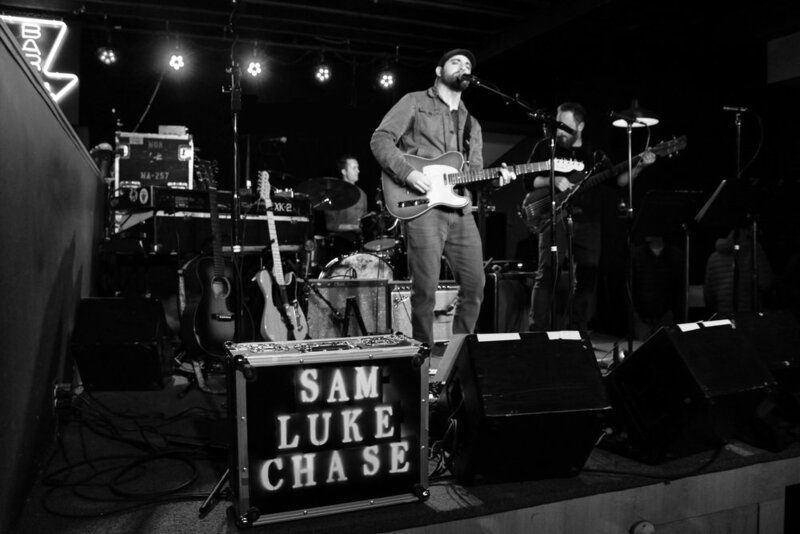 A native of Scituate, MA, south shore based artist Sam Luke Chase is a multi-instrumentalist singer/songwriter who writes heart-on-your-sleeve roots-based acoustic pop songs. Whether solo, or with his band, Sam's raspy baritone and acoustic riffs help make new fans of his after each and every performance - that and good songwriting. Chase has recorded three studio albums, the latest of which - Lift Me Up - showcases his musical abilities by playing all the instrumentation and is entirely self produced. It is a solo record in the truest sense. Sam released a new single called “Vortex” in 2018 that debuted on Boston’s 92.5 The River. After graduating from Berklee College of Music in 2008, Sam released his debut album Songs For Someone, earning him Top Songwriter honors at the 2010 Connecticut Folk Festival. In 2012, he released the follow up Every Time I'm Home earning Best Local Album from the Patriot Ledger and praise from WBZ Boston as a singer who "...delivers with a clear, fresh dynamic voice that makes you want to listen more and more." Sam maintains a heavy playing schedule, frequently playing the northeast coast from Cape Cod to Portland, ME. He has shared the stage with national acts such as Marc Cohn, Howie Day, Jonathan Edwards, Rusted Root, John Gorka, Lori McKenna, Ellis Paul, and Ryan Montbleau. In the DIY world we live in, Sam is proving to all that great music doesn't just come from the major labels, but rather if you pay attention, you might just hear the next great thing at the local bar up the street.